Human Race has become one of the most significant players across running, cycling and triathlon events in Britain with the acquisition of Xtra Mile Events, the ASICS Greater Manchester Marathon and Manchester Half Marathon. Human Race, under parent ownership of Le Tour de France owners, Amaury Sport Organisation (A.S.O), has this week confirmed the acquisition of Manchester based Xtra Mile Events, which organises nine mass participation events in the North of England, including the ASICS Greater Manchester Marathon, ASICS Oulton Park Half Marathon & 10K and Manchester Half Marathon. The acquired Xtra Mile events will be delivered alongside key events in the Human Race Group portfolio including Cancer Research UK London Winter Run, Nuffield Health Royal Windsor Triathlon, Maserati Tour de Yorkshire Ride and VitalityMove with Jessica Ennis-Hill. The newly expanded race portfolio will also ‘tap into the international credibility and experiences of parent company A.S.O., which also delivers the Schneider Electric Marathon de Paris and Fitbit Semi de Paris. Human Race notes that the three most developed sports in mass participation events in the UK are running, cycling and triathlon, and this collaboration now positions Human Race as a lead player in all three, providing a unique platform across Britain to encourage 100,000’s people to get active each year. The Xtra Mile Events business, based in Greater Manchester, was established 10 years ago, entering into the triathlon events business. 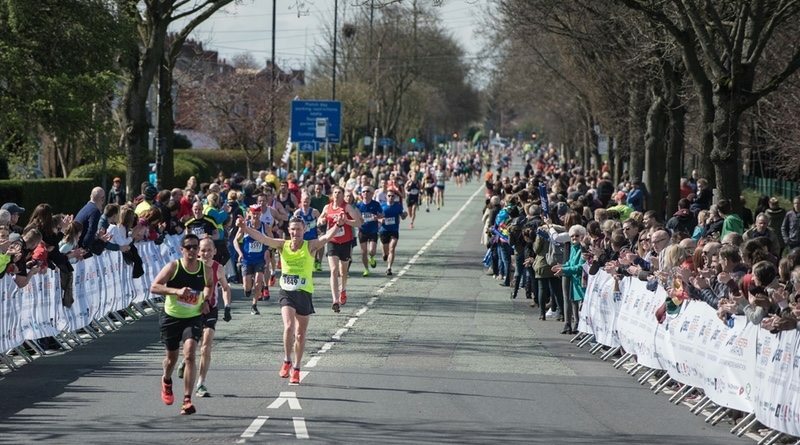 Xtra Mile Events also brought the Greater Manchester Marathon back in 2012 after a ten-year absence, and the launch of the Manchester Half Marathon in 2016 contributed to the company’s position as a key influencer of sports participation, health and fitness in the North West. These two events are key additions to the Human Race portfolio of running events which includes Jessica Ennis-Hill’s running festivals, VitalityMove, the London and Manchester Winter Runs over 10k, the Trick or Treat Run and long running marathon training event Lidl Kingston Breakfast Run. Xtra Mile Events has considerable credibility in the sport of triathlon. This merger of its events with Human Race will provide ‘the most comprehensive range of triathlons for people to take part in across England’. The portfolio now combines over 15 triathlon dates with a focus on variety, including award winning Olympic distances, events for kids, female only, industry events for corporate organisations and a mixture of pool and open water swimming options. The newly expanded business will continue to focus on working alongside host councils to support local health and economic impact agendas, as well as charities such as Cancer Research UK, Alzheimer’s Society, The Christie charity, Royal Manchester Children’s Hospital, Macmillan Cancer Support and many more to raise over £10 million each year for good causes. He added, “[co-founder] Gemma and I would personally like to thank everyone who has been involved in Xtra Mile Events over the years, particularly our participants, contractors, partners and all our supporters many of whom are now friends. It has been an incredible journey and we wish you well with all your future sporting challenges”.